Week 7 Term 3 and I felt ready to tackle movie making with DaBoyz. We had been playing in the bush during the morning and I had a good collection of photos. 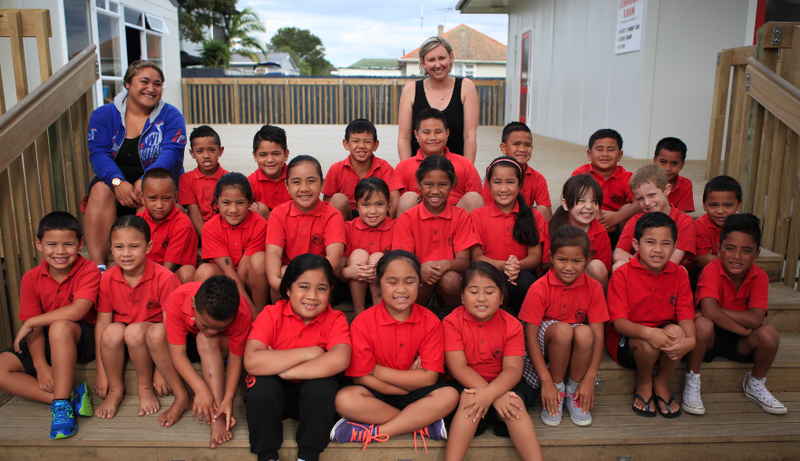 Also, being Tongan Language Week, we had had a performance that morning in assembly and I also had lots of footage of the boys performing. With this footage and the experiences fresh in mind, it was time to get into actual, for real movie making. During lunch, I made sure that all clips and photos were uploaded into our shared Media Folder in Google Drive. 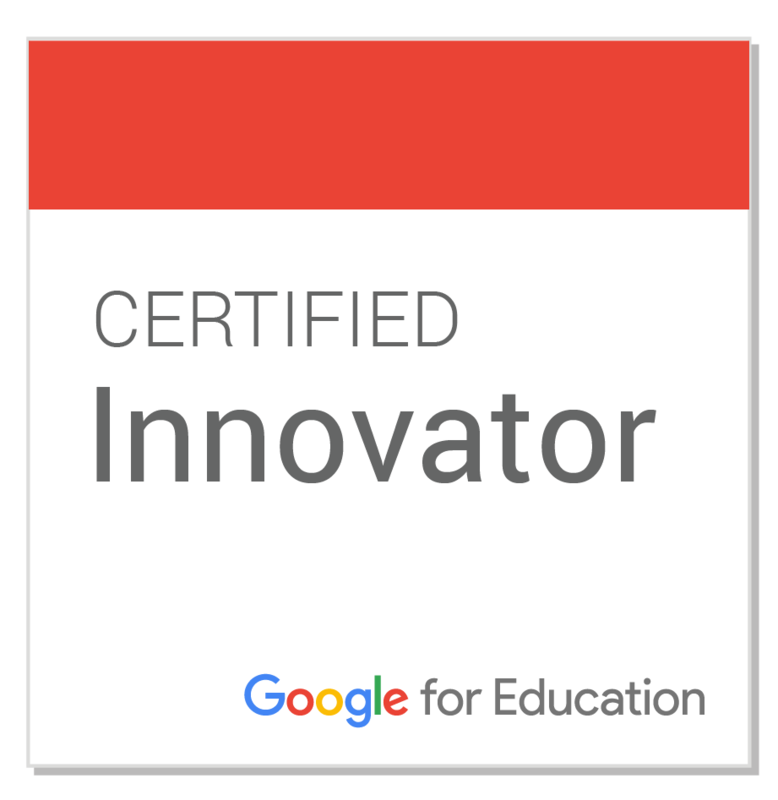 This folder is embedded on our classroom Google site - so easily accessible from any machine. 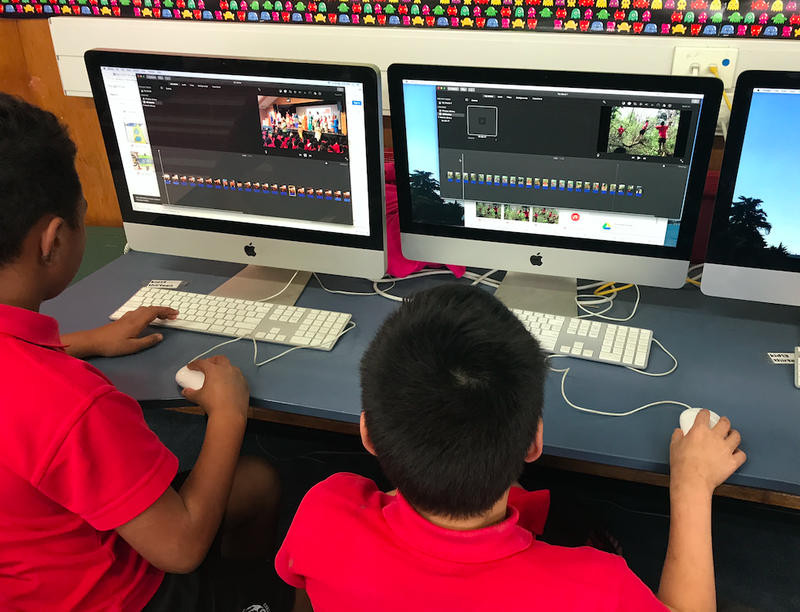 I also made sure that all out iMacs had a new iMovie project ready and our classroom Google site open. With 6 iMacs in class and only 12 boys it was easy to have them work in pairs. 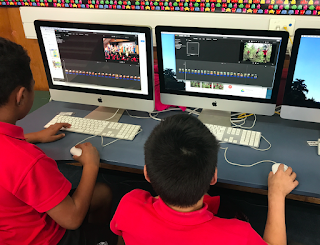 The boys were to download the folder of images from our Site, find them in the downloads folder of the iMac and then drag them into the new iMovie project. Once the clips and photos were on the timeline I taught the boys how to shuffle the clips around to put them in the best order for their movie. Next, we learnt how to use the Ken Burns effect on still images and how to trim the ends of moving clips. Finally, we learnt how to download and drag in a song with a fade at the end. The boys then taught themselves how to add a title - with varying versions of success. I made sure to export the movies and then upload them to our shared Media folder. The boys were then able to use their Chromebook to embed their finished movie on their blog. All completed in one hour after lunch. A lesson likes this requires the sharing processes to be in place and the teacher to be well organised with the skills they are wanting the children to learn in the session. 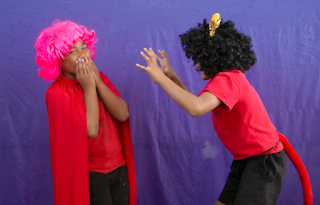 Our next step we took today - filming our own version of Little Red Riding Hood against a blue screen in class, recording voiceovers and drawing backgrounds in Hyperstudio. Again, the footage was uploaded to our shared Google folder. 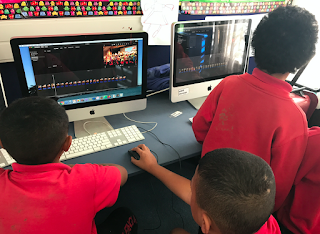 The skills being learnt in this activity will build on what we learnt last week - trimming clips, muting clips, green/blue screening, detaching audio from a clip and adding voice overs to the correct parts of the story. Lots to learn but being prepared should make the process fairly simple.